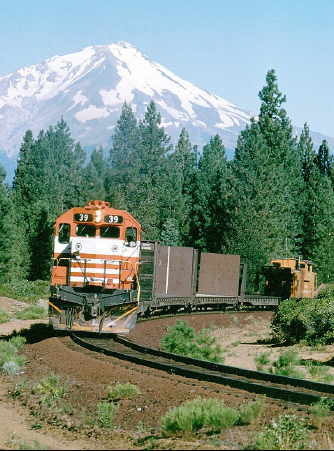 This photo shows the #39 eastbound near Kinyon with a Sierra Job bound for Burney. Photo is © Mike Woodruff.
. 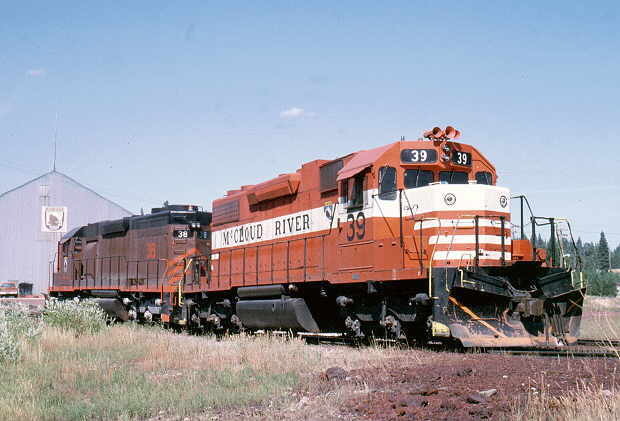 The #39 switching some cars at the Bartle siding. Photo is © Mike Woodruff and is used with permission. 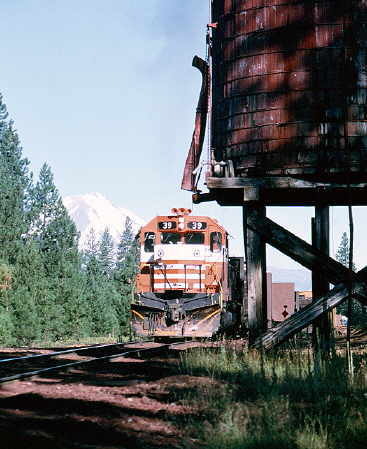 This photo shows locomotives #39 and #38 sitting in front of the shop building in McCloud. Photo is © Mike Woodruff and is used with permission. 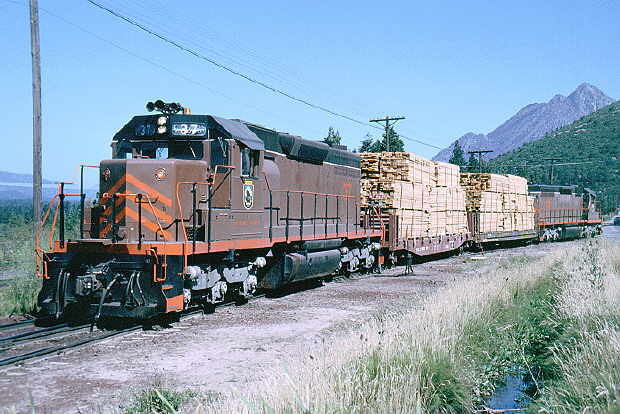 Photo shows the #37 and a sister spliced by two loads of lumber in the Mount Shasta City yards. Photo is © Mike Woodruff and is used with permission. 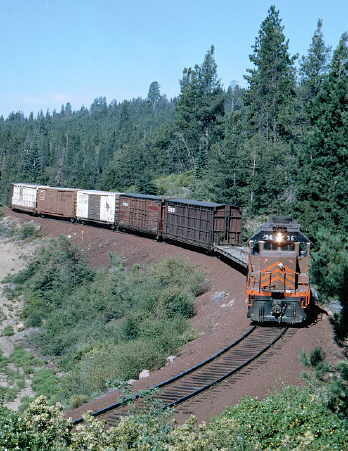 This photo shows the #36 entering the switchback tail track at Signal Butte. Photo is © Mike Woodruff and is used with permission. 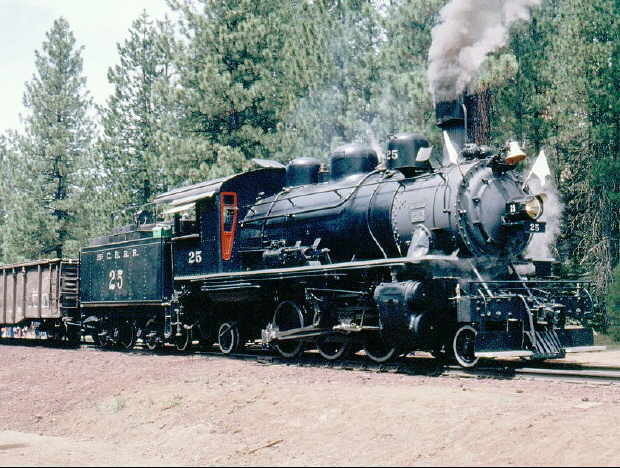 Photos shows the #25 with an excursion train at Bartle in the summer of 1985. Photo is © Mike Woodruff and is used with permission.